Students in Mrs. Anderson’s Pre-K 3 and Mrs. Livingston’s 4th grade classes are anxiously awaiting the arrival of baby chicks. But first, they’ll have to exercise the virtue of patience and learn a little something about the life cycle. It typically takes 21 days for the eggs to hatch. In the meantime they’ll be in the incubator where it is between 90 and 100 degrees. Mrs. Anderson explained. She has been doing this project with her classes even before her time at ASA. 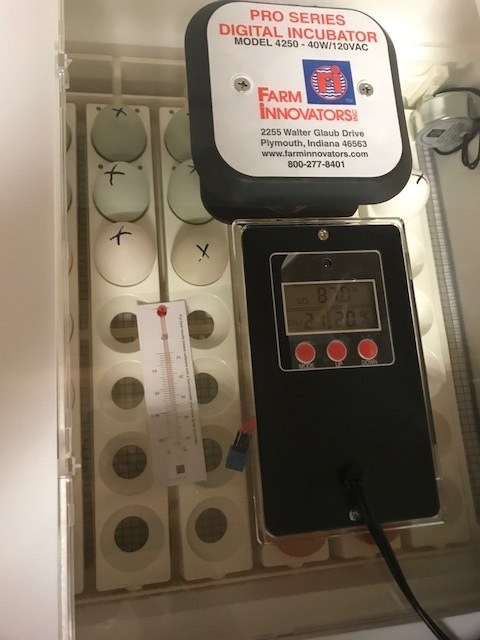 A second incubator was purchased through the generosity of Eaglefest donors. Now students at both campuses can experience the anticipation of new life this spring...even if it doesn’t feel like it outside! Students in 4th grade will make scientific observations and collect data as they monitor their 18 eggs over the next 21 days. The 8th grade class proposed chickens as a possible addition to our ASA Community Garden work. 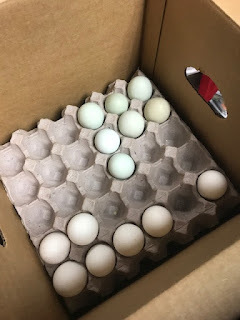 They will partner with the 4th grade and work to locate forever homes for chicks once they hatch.